searchmain menuMedia CoverageGrieving for Pets and Humans: Which hurts more? I admit I was insulted. I know she was trying to be empathetic, but really, how can grief over a pet be the same as grief over a parent? But perhaps I was wrong. Washington Post food editor Joe Yonan wrote a moving story this week about his grief over the death of his dog, Red, compared to how he felt after losing his father and then his sister. The intensity of his sorrow over his pet surprised him. I´m no stranger to death. I was a mess of anger and confusion when my father, suffering the aftermath of a stroke, took his last gasps one day in 1995, his children gathered around his hospital bed. And three years later, the death of my sweet, beloved sister Bonny after a withering battle with brain cancer was nothing short of heartbreaking. Yet somehow, and much to my distress, the death of my dog seems even harder. I haven´t felt grief quite like this since, well, the death of my previous dog five years ago. He wrote touchingly of his guilt and anguish over his dog´s sudden death, second-guessing his decisions and feeling guilty over not doing more - all feelings many of us have felt when a (human) family member dies suddenly. Yonan´s piece touched a nerve with pet lovers, generating nearly 300 comments, as well as an online reader discussion about pet loss with him and Sandra Barker, director of the Center for Human-Animal Interaction at Virginia Commonwealth University. Barker counsels grieving pet owners and teaches veterinary students the importance of understanding the process. Barker explained that the unconditional, nonjudgmental love offered by animals - “they´re just happy you´re there,” as she put it - can make it especially hard to lose them. In Yonan´s case, he decided that writing about Red would be part of his grieving process - and perhaps a way for many of us, pet owners or not, to reflect on the loss of a loved one who was integral to our lives. 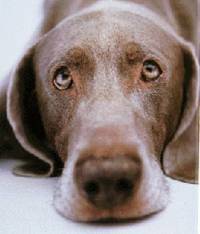 This article can be found in its entirety on the AARP blog: Grieving For Pets and Humans: Which Hurts More?